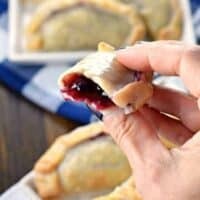 All it takes is 30 minutes to prepare these Blueberry Lemon Hand Pies with their flaky crust and citrus glaze! 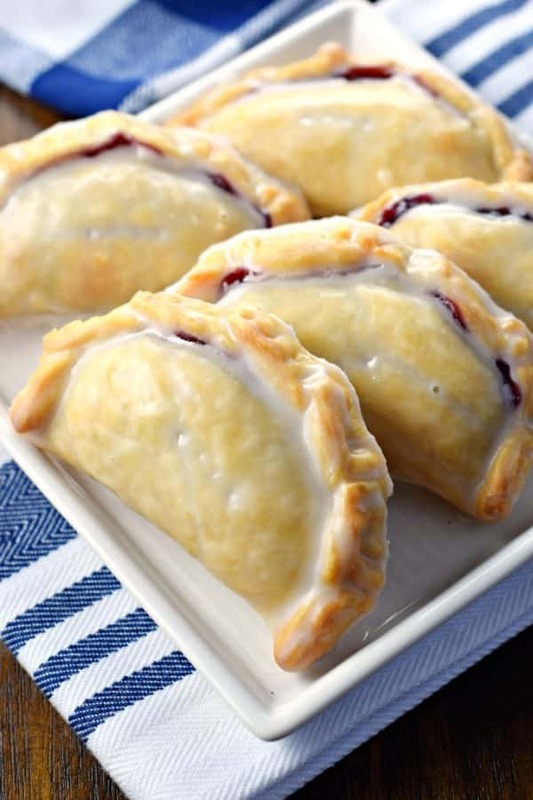 My easy hand pies are now some of the most popular recipes on my blog. Not only are people making them, but they are sharing photos and stories with me too! I love it. It’s seriously one of the best parts of blogging, to see and hear from people about what they are cooking in their kitchen. If you haven’t joined yet, I have a group on facebook (you have to request to join). 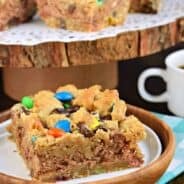 It’s a small group, but it’s a great place to share funny kitchen stories, family recipes, as well as ask me questions about cooking and baking (and if I don’t have an answer, you can bet someone else does)! 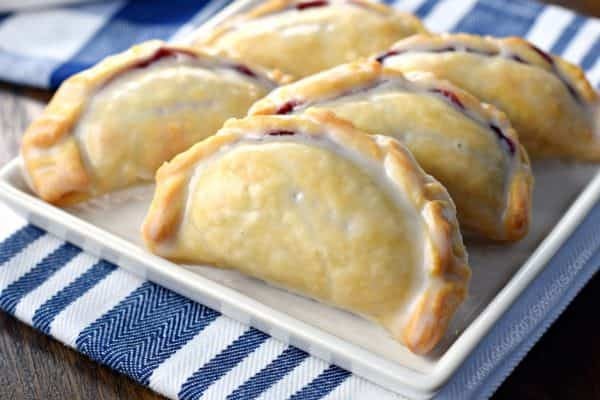 For me, growing up, we used to eat those NASTY Hostess cherry hand pies. You know the ones I’m talking about right? About one zillion calories. They taste good(ish) while you’re eating them, and then you feel sick later, haha! Today’s combo is delicious. I used a blueberry filling and glazed them with a sweet lemon glaze! Such a refreshing combination, if I do say so myself. But here’s the question….what’s YOUR favorite flavor? Is it my first love, the Apple Hand Pie? Or are you more of a Peach Hand Pie person? I’ve got you covered with a Cherry Hand Pie, Pumpkin Hand Pie, and even a S’mores Hand Pie. And, for dinner, how about we tackle these savory Pepperoni Pizza Hand Pies, mkay? 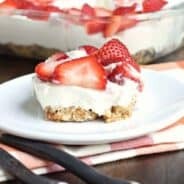 I love love love easy peasy desserts! Especially bite sized ones that I can eat more of!!!! How do I see the recipe? I too am having trouble seeing the recipes. I signed up, entered password etc but still don’t get recipes when I click on them? Click below the picture where it says “Read Full Article”. 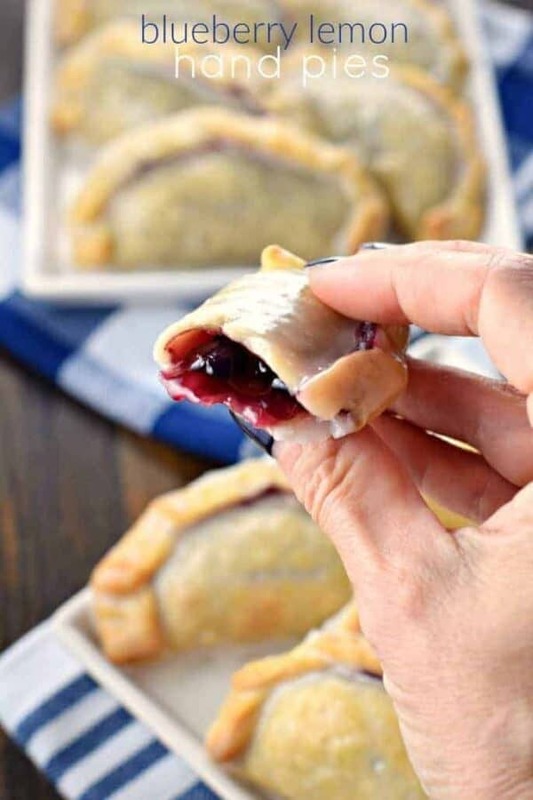 Planning on making these tomorrow for Thanksgiving however it took me a good half hour and two different devices to be able to print the recipe because of ad pop ups covering the screen on my mobile pinterest app. Pinterest doesn’t have a link to print…even after clicking “Read full article”. That could be some of the frustration others are experiencing. Had to go direct to your website from the laptop. Nonetheless, looking forward to making and eating now that I was able to print the recipe! Happy Thanksgiving! Everything seems to come from a can or box which a child can do.Cooking to me is from scratch so wheres the crust recipe? Wow Amy, you are incredibly rude and disrespectful. How long do these keep before they don’t look good anymore? Like if I want to display them where people going past can just grab one. We are a 2 person senior family. Easy Peasy is fine with us. Also smaller batches are perfect. Making these ASAP! Do you have to roll the dough thinner? I don’t roll it thinner when using the refrigerated pie crust! Absolutely great. Made these and even my very fussy husband loved them. Can I fill them w lemon curd?? Has anyone tried this with puff pastry? I think that would be a great substitute for the dough and it would be flaky and buttery. If you used puff pastry instead of pie crust how would you make it? I’ve already made Hess a few miles. They are amazing!!! Thanks for an easy recipe that doesn’t require a lot of prep. I love using some storebought ingredients. Makes life so much easier! Sorry, I agree with Amy! I just cannot stomach refrigerated pie dough. The oil or whatever they put in it tastes horrible. Nothing like homemade. I’m definitely making these soon with my own pie crust. ???? 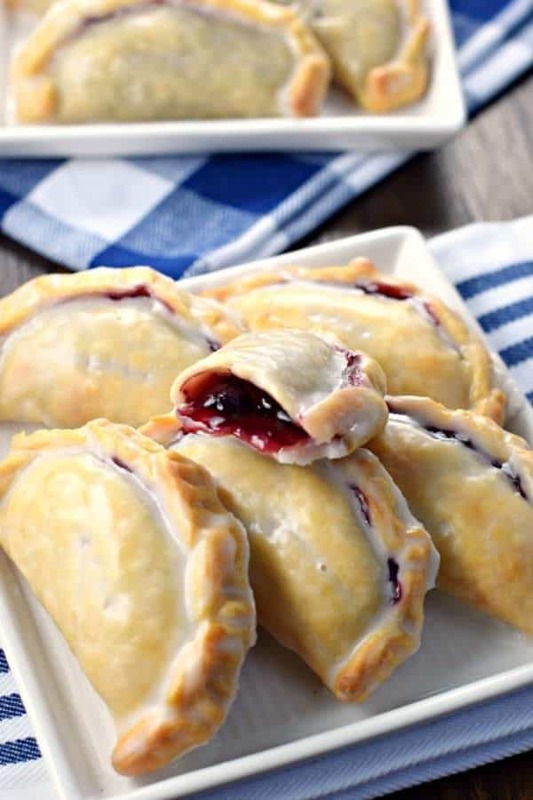 made these today with my pie crust recipe…. Delish! Came out great… Yummy filling and sugary glaze! I made these yesterday for an impromptu extended family dinner. So easy!! I used apple pie filling and added cinnamon. They were a huge hit!! Pudding might be a little too runny! I think Solo brand makes a coconut pie filling though! Can these be put in the air fryer? Or fried in oil so they are crispier. I do freeze them, and they are still wonderful….just a little softer. 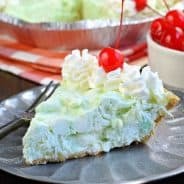 Do you have a tool that cuts out the shape of the pie and seals it? I used to have a donut shop and we made pies in it also like that and I had a tool to seal them but I haven’t been able to find one online . If these pies can be frozen, how long ?